Team Summer would like to recognize 13-year old Katie Smith as a super Team Summer volunteer! 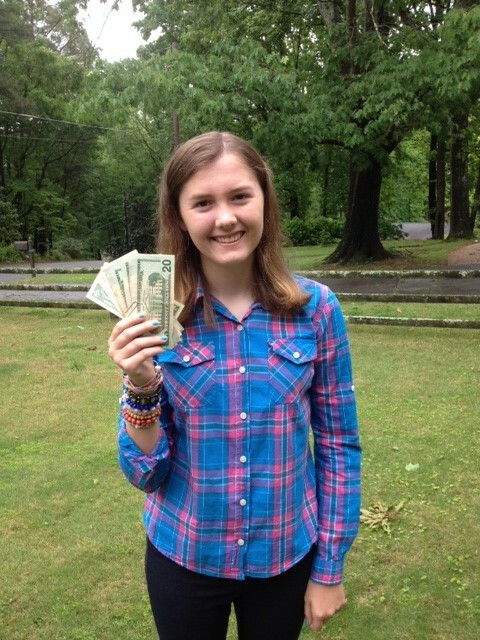 Each year, her family gives her $100 to contribute to any cause, and Katie chose Team Summer! But Katie did not stop there. She recently ran a lemonade stand with her friend, Mary Gordon, and raised $21.25 for Team Summer! And this summer, she and her friends, Grace Jackson and Sarah Kallis, are running a summer camp for kids aged 4-9 and are donating 25% of the proceeds to Team Summer! Go Katie! You inspire us! !